Intern to the Honorable Lawrence M. McKenna, U.S. Federal Judge for the Southern District of New York. 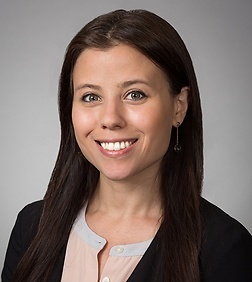 Ms. Zablocki is an associate in the Corporate Practice Group in the firm's New York office and is a member of the firm’s healthcare practice team. Amanda Zablocki's practice is focused on representing healthcare and tax-exempt organizations on a wide range of business, regulatory and transactional matters. Amanda’s corporate and transactional practice focuses on advising clients on matters relating to formation, governance, corporate transactions (mergers, joint ventures, asset sales, dissolutions), federal, state and local tax exemption, and compliance with applicable federal and state law. Amanda’s healthcare regulatory compliance practice focuses on issues relating to fraud and abuse, Medicare/Medicaid reimbursement, voluntary disclosures, the corporate practice of medicine, and ensuring compliance with applicable federal and state law. Amanda’s clients include for-profit and not-for-profit organizations such as hospitals, integrated healthcare delivery systems, academic medical centers, pharmaceutical and life sciences companies, management companies, rare disease organizations, charitable and religious corporations, and physician practices. Most recently, she was part of a team that represented the corporate members of Fidelis Care, New York's largest Medicaid managed care plan, in a $3.75 billion acquisition by Centene Corporation, the nation's largest Medicaid managed care plan provider. The proceeds of the sale have been used to create one of the largest healthcare foundations in the country. Amanda began her career as a litigator, and brings this experience to her transactional and regulatory practice by counseling clients on legal, strategic and practical matters relating to potential claims, defenses and/or counterclaims, and in representing clients in connection with investigations by governmental enforcement agencies, such as the New York State Office of the Attorney General. Amanda has also represented clients in business and commercial disputes in federal, state and bankruptcy court, arbitration proceedings and before government agencies. Amanda is the co-chair of Sheppard Mullin’s New York Women Lawyers Group. Ms. Zablocki was a member of the pro bono team at Sheppard Mullin receiving the 2011 Frankel Award from Human Rights First for their successful representation of Abdalmageed Haroun, a prominent human rights activist and former Sudanese prisoner. In the Sudan, Mr. Haroun's work focused on women's rights, the plight of internally displaced refugees, and the victims of the conflict in Darfur. As a result of his selfless and heroic efforts, Mr. Haroun was detained for months, persecuted, tortured, and threatened with death by the Sudanese government, forcing him to flee the country. The firm represented Mr. Haroun in connection with his application for asylum in the United States. "High Tide For False Patent Marking Claims?"